Benchmark looks at 12 products and systems of interest for security installers and system integrators actively involved in the design and installation of access control systems. Inception from Inner Range is a browser-based access control system with integrated intruder alarm functionality. It has been designed to allow simple and cost-effective connectivity from any device capable of running a browser, such as a standard workstation or other PC, smartphone, tablet, etc.. The software is hosted on the Inception controller unit. It can operate as a standalone system, and the browser-based interface means there is no software to install nor licensing costs. Inception has been tested by Benchmark and received Recommended status and also received the Benchmark Innovation Award 2017 for the Access Control Hardware category. Inception supports up to 32 doors with readers for entry and exit. It can also monitor up to 512 detection points via its alarm monitoring functionality, and includes universal inputs and outputs which can be used for security monitoring and additional tasks such as lighting control, HVAC management, lift control, etc.. As standard, Inception supports IP-based alarm comms; an optional alarm communicator can be added to allow dual-path signalling. Connectivity makes use of standard LAN cables, or an optional WiFi adapter is available. Internet-based connectivity for remote connections is simplified and made secure as it uses Inner Ranges’s SkyTunnel functionality. The Inception controller can support up to 8 readers via its integral bus: an expansion port allows the use of additional readers. The AXIS A1001 Network Door Controller offers the benefits of open-architecture IP connectivity to access control solutions. It’s a non-proprietary platform that delivers a smart and flexible alternative to traditional access control. It can be connected to, and powered from, an IP network with no need for dedicated cabling and is supplied with AXIS Entry Manager software pre-installed. As standard in standalone mode it supports basic access control functionality for small- to medium-sized systems. More advanced configurations can be achieved easily via integrations with software solutions from a number of Axis partners. AXIS A1001 can be configured to permit remote management, status monitoring and easy installation. It is suited for use with single door systems through to complex applications with thousands of portals. Because the A1001 uses an open platform approach, installers and integrators are not dependent on proprietary hardware or software. It is designed to allow integration with third party access control systems and solutions, and can also be used to create complete systems including video surveillance and building management. AXIS A1001 enables installers and integrators to offer customers a basic access control system, and this can then be scaled up (in size and functionality) to meet the needs of a developing business. Whether adding doors or additional buildings, or adding building control and other integrations, the A1001 is more than a simple door controller. ACT365 is a cloud-based access control solution from Vanderbilt which combines the control of doors at a protected site with video management options via a seamless integration. ACT365 has been tested by Benchmark and received Recommended status and also received the Benchmark Innovation Award 2017 for the Access Control Software category. Because ACT365 is hosted in the cloud, it delivers remote access and direct management for the end user to ensure real-time control of a protected premises. It creates a unified integrated system, delivering flexibility and control for business owners whilst also reducing the amount of required infrastructure and resources to protect a site. By integrating access control and video surveillance, ACT365 allows an authorised person to communicate with a visitor, verify their identity and open the door remotely from a smartphone. If incidents occur at the door, access control events such as Door Forced alarms can be accessed, and the user can quickly locate and review recorded footage. ACT365 can also be used to verify the identity of cardholders by combining access transactions and video footage. Use of the cloud allows site status details and footage of events to be shared across geographically-dispersed teams, allowing all relevant persons to have access to real-time data. The cloud-based architecture also means that end users enjoy a reduced liability for technical support, licensing and hardware maintenance. CLIQ Connect utilises a combination of electronic and mechanical technologies to offer a comprehensive feature-set in a single locking system. The solution is both flexible and intuitive as it can be combined with smart devices to add mobile functionality. The CLIQ system makes use of Abloy’s patented rotating disc cylinder mechanism to deliver mechanical security. The electronic CLIQ technology enhances this by allowing flexible control of keys, access rights and provides audit trails. The transfer of data between the system elements is secured using encryption. Individual access rights based on clock and calendar data can be set for each individual user. This ensures security and operational efficiency as users can be issued a single key which only grants access to areas they have authorisation to enter. Time zones for access rights can be set specifically for each user, and contractor or visitor keys can be activated for a matter of days or even minutes. With CLIQ Connect , access rights can be verified at the point of opening the door. The system also supports a real-time audit trail which can be utilised in areas such as process and workflow management. The system administrator can change users’ access rights remotely. The browser-based CLIQ Web Manager software makes this possible without having to physically visit the location. If a user loses a key, it is simple to invalidate the lost key and add a new one. CLIQ Connect allows changes to be transmitted to a user’s key anywhere, using a smartphone. Keys can also be updated via a WallPD or separate MobilePD device for key programming. Lenel Blue Diamond readers are part of a complete mobile solution, incorporating Bluetooth 4.0 low-energy technology. Support for a wide range of smart cards and proximity cards enables the Blue Diamond Mobile readers to aid in migration from legacy cards and badges to cardless mobile access control, and allow seamless integration into existing solutions. The mobile readers are ideal for enhancing freedom of movement in the workplace, allowing employees to add access credentials to the smart devices they already carry. The mobile credentials can be read from distances of up to 9 metres, making the technology ideal for applications where long-read ranges are required. The multi-technology readers are designed for surface mounting, and fit onto a standard UK electrical back box. An integral backlit keypad version is also available. Multi-technology readers include support for 125kHz proximity cards as well as 13.56MHz smart cards such as Mifare DESFIRE EV1/EV2, Mifare Classic and HID iClass. Weigand credentials are also supported. MiAccess is an offline standalone proximity access control system that can be part of a multiple entrance system, supporting up to 80 doors, without the need to cable between devices. Free software allows different access levels, user rights and reporting. Access rights of each user are stored on Mifare cards. The system can be managed from the software, reducing the installation cost and complications associated with routing cables. Multiple sites can be managed, making it ideal for engineers who maintain several installations. The system also allows the management of all access points to be controlled from a PC using read/write Mifare cards to transfer data. Alternatively, data can be transferred using a USB port on the reader. The Net2 Entry Touch panel adds a premium touch to Paxton’s well established door entry system. The panel includes a seven inch colour touch-screen and a range of customisation options to enhance the benefits for installers and integrators. Selection of a touch-screen device is often driven by a desire for enhanced aesthetics, and this has been recognised by the design team at Paxton as the unit includes no visible fixings or screws. This additionally helps to deter tampering attempts. The panel supports credential-based access. It boasts a dual frequency proximity reader, allowing the use of EM and HID Prox as well as Paxton and MIFARE credentials. This can be supplemented with the use of a PIN where two-factor authentication is desired. The panel is SIP compatible, making it simple to integrate with smartphones, mobile devices and PCs via an appropriate app. It is available in three variations: flush-mount, surface-mount and rain hood. The panel has IK7 impact protection rating, and features an easy-to-read anti-glare screen for optimal daytime viewing. Other features include dynamic search functionality. For applications where inclusivity is essential, the panel includes a line-out for use with a T-Loop antenna for hard-of-hearing users. Audio is enhanced thanks to an advanced sound processor. The high contrast theme of the panel makes the screen easier to read. Tyco Security Products offers Kantech’s EntraPass security management system software which delivers a high degree of access control functionality. It also makes use of the EntraPass Go Pass mobile app that allows card holders to use their mobile phones as an access control credential. This latest version of the software also makes it easier for security installers and system integrators to convert legacy controllers when installing KT-1 and KT-400 door controllers. Use of the system is also enhanced with user authentication and reporting via an auto-synchronisation feature for Microsoft’s Windows Active Directory for both users and system administrators. EntraPass software comes in three versions: Special Edition (SE), Corporate Edition (CE) and Global Edition (GE). The SE version is a single workstation security software package. It supports up to 64 controllers and 128 KT100 or KT300 readers, or 256 KT400 readers. However, it does not support web or app connectivity or Active Directory integration. The CE version is a multiple workstation package. It supports up to 41 multi-site gateways, with up to 17,408 controllers per multi-site gateway. In terms of readers, each multi-site gateway supports either 34,816 KT-300 readers or 69,632 KT-400 readers. This version also supports apps and Active Directory, along with up to 50 concurrent web connections. The GE version is an enterprise-level multiple workstation package. It supports up to 128 gateways, with up to 4,096 per global gateway, 512 per KT-NCC or 69,932 per multi-site gateway. Global gateways support up to 2,048 KT-300 readers or 4,096 KT-400 readers, while multi-site gateways support 34,816 KT-300 readers or 69,632 KT-400 readers. The GE version also supports apps and Active Directory, along with up to 200 concurrent web connections. The GE version of EntraPass also supports muster reporting. Nedap takes a different approach to traditional access control systems with its Aeos security management platform. Instead of focusing on credentials, transactions within Aeos are based upon identifiable people. The manufacturer claims that this makes the system easier to manage as each authorised person has a centralised profile. Updating or changing the profile automatically results in the permissions of any credentials held by them being updated. Access authorisations can be configured for a variety of users including employees, visitors, suppliers and contractors. Access permissions can be applied to both people and vehicles. Pre-defined categories and time periods – such as department, function, shift, etc. – can be used to simplify configuration. Authorisations can be set as short- or long-term. All Aeos access control functions are managed via the software, and the modular approach ensures that features and functions can be added as required. Aeos makes use of open IT standards, allowing existing IT and security infrastructure to be leveraged for a simpler and more cost-effective installation. Legacy card readers can be integrated and the software supports all identification and verification technologies, according to the manufacturer. Synergis Cloud Link is a PoE-enabled access control appliance designed to provide flexibility to meet various security requirements. It helps in the design and delivery of non-proprietary access control systems and provides native support of a mix of door modules and locks including those from HID Global, Assa Abloy and Axis Communications. 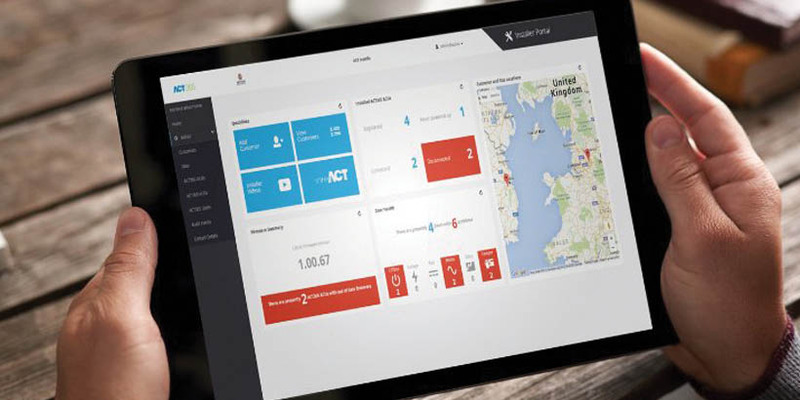 Synergis Cloud Link is deployed over a standard network to enable real-time connectivity to doors and to deliver accurate event reporting. The appliance supports third party access control modules and enables an IP-based security system to be implemented with a reduced cost-of-ownership. It offers a migration path to cloud-based access control systems and delivers encrypted communications with Synergis and a secure web interface for appliance setup. Another benefit of using the Cloud Link appliance comes with the recent launch of the Security Center Synergis SaaS (software as a service) edition. This allows the corporate IT staff to focus on other business-critical tasks rather than the management and configuration of access control systems. Synergis SaaS will give users the flexibility to adjust system usage as needs change, reducing budget requirements for access control capital expenditures by combining both Cloud connectivity and access control software delivered as a remote service offering. Customers will also be able to quickly deploy their access control system and benefit from automated update notifications. Multi-site organisations will be able to centrally manage their systems more efficiently. Door Cloud is a cloud-based access control system which uses a hardware rental model to deliver a scalable and flexible solution to end users. Door Cloud takes the servers and application services into the cloud, where they are utilised by installers and integrators, enabling them to offer access control as a service to their customers. Door Cloud can work with wide range of card and biometric readers that are supported by the Zone Door I/O devices. Door Cloud is reader-agnostic. 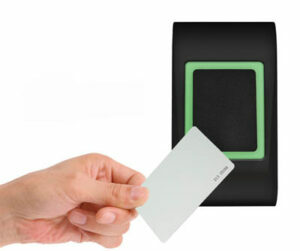 Biometric readers can be integrated as direct replacement for card readers. Finally, the Door Cloud smartphone app allows deployment of readerless access points. The app uses microlocation features to select the access point (a door) and perform the user identification. As a result, readers can be eliminated from certain points. Aperio is a wireless locking system from Assa Abloy with which many access control manufacturers have included integrations. Quick and easy to install, Aperio wireless locks can be operated with legacy credentials from an existing access system. The range includes high security, certified battery-powered locks for many different applications. Because they use integral batteries, Aperio devices can help reduce energy usage and also simplify installation as there is no need for run cable. This also eliminates disruption at site when system expansions are taking place. Assa Abloy claims that Aperio locks can be installed in less than two minutes, and can also reduce maintenance costs by up to 67 per cent. Battery life is quoted as two years.